For those considering taking their blog posts to the next level, WooCommerce pricing is free for the plug-in and turns any WordPress site into an online store. WooCommerce costs nothing to install on your WordPress site but has other associated costs depending on your startup and ongoing needs. The best way to get started is to run your store with a dedicated WooCommerce and WordPress hosting provider like Bluehost. You get a free domain name, email address, automatic WooCommerce installation, a free 2-hour set up call, and more, all starting at just $6.95 per month. Click here to compare plans. If you’re still on the fence about WordPress and WooCommerce and want a more out-of-the-box ecommerce solution, check out BigCommerce. It’s a beginner-friendly website builder and ecommerce platform that give businesses everything needed to set up an online store. BigCommerce offers robust inventory, order, and store management tools plus seamless multichannel sales integrations with Amazon, eBay, Facebook, and more. Try it free for 15 days. Marketing features: Adding email, social media and SEO marketing features can cost little to nothing, but extending these services comes with monthly or annual costs. 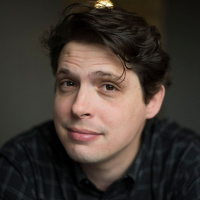 So, your WooCommerce pricing really depends on what you need from your online store now and as you grow. Let’s take a closer look at each of these four factors. WordPress hosting for WooCommerce: Starts at $6.95 per month with Bluehost. This is where your website and WooCommerce store “lives” on the Internet. Domain name: Free with WordPress hosting to around $12.95 per year. This is your store’s online address, such as www.YourStoreName.com. A WordPress theme: Free to around $195 per year. This drives the overall design of both your website and WooCommerce store. A logo: From $5 at Fiverr. A professional logo enhances your brand and shows site visitors you’re a serious seller. Here’s a closer look at how these elements create the foundation for your WooCommerce store and the costs involved. Of course, you can add WooCommerce to a standard WordPress hosting package, but you’ll have to locate and install the WooCommerce plug-in yourself, purchase (in some cases) and install an SSL certificate and domain name yourself — and remember to renew them annually. The WooCommerce-ready package from Bluehost cuts out these setup headaches and added costs so you can concentrate on growing your WooCommerce business. Your domain name is your online store’s address on the Internet. Domain names are registered through an accredited domain registrar, such as Bluehost, GoDaddy, Google and many others. Most hosting services, like Bluehost’s WordPress for WooCommerce hosting, include a free domain with your hosting package. Bluehost’s WordPress for WooCommerce hosting includes a free domain name registration. You can also register your domain separately. If you go that route, expect to spend about $12.95 per year or less if you prepay a year or more in advance. Our domain name guide explains the process of handling domain registration yourself. WordPress themes are one of the greatest perks of launching your online store with WooCommerce on WordPress. A theme drives the entire look and feel of your website and WooCommerce store. Most WordPress themes work with WooCommerce, but those labeled “WooCommerce compatible” give you more control over WooCommerce-specific elements like item page layout. 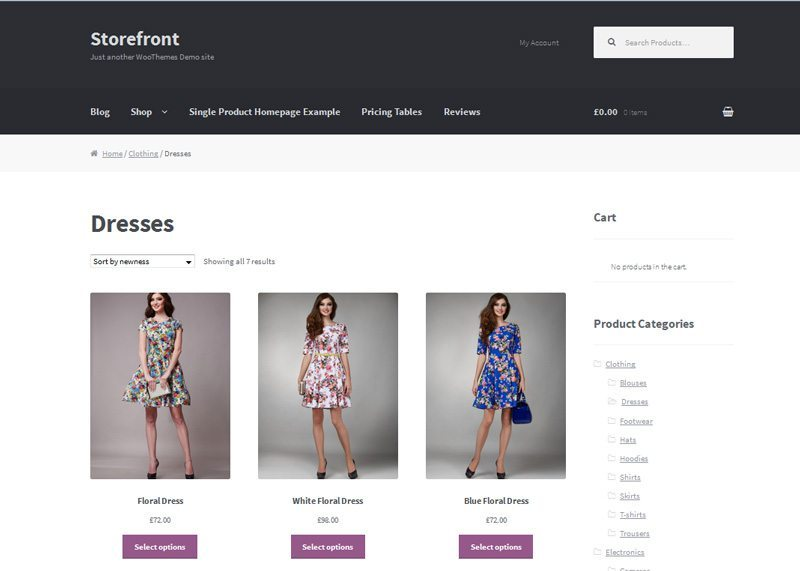 The free WooCommerce Storefront theme is a good budget-friendly starting point. Alternatively, you can choose from many other themes. 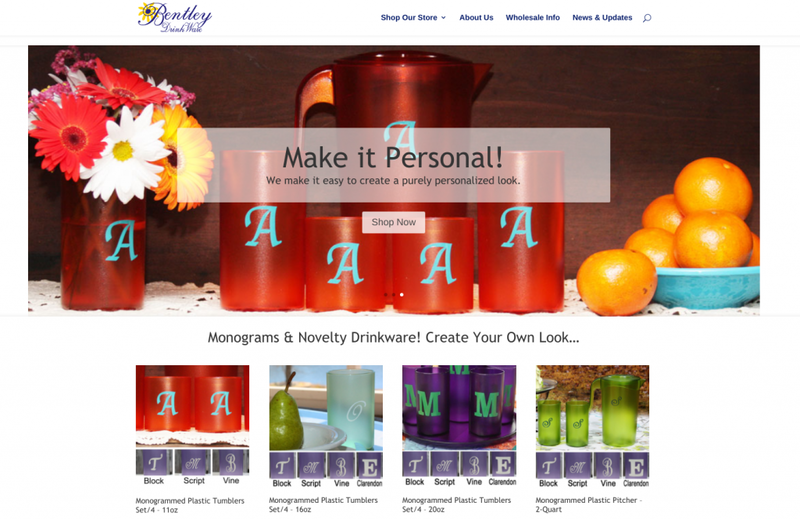 WooCommerce sells customized themes based on Storefront for as little as $35. Others theme providers, like Elegant Themes, offer themes with virtually limitless possibilities. Divi, which was used to create the site below, costs around $89 per year, or you can purchase lifetime access for a one-time payment of $249. This WooCommerce store is built on the Divi theme. It costs the owner about $42 per month to operate. which includes hosting, theme updates and marketing and store locator plug-ins. The real beauty of WordPress themes is they’re extremely cost-effective compared to having a custom site created. Plus, once you’ve learned how themes work in the WordPress environment, you can change and update the look of your entire website easily by simply swapping to a new theme or editing your existing one. Shop for the perfect free or paid WordPress theme for WooCommerce with WooCommerce, Elegant Themes, My Theme Shop and the Envato Theme Market. If graphic design isn’t your forte, let the logo design pros at Fiverr create a professional look for your WooCommerce store. 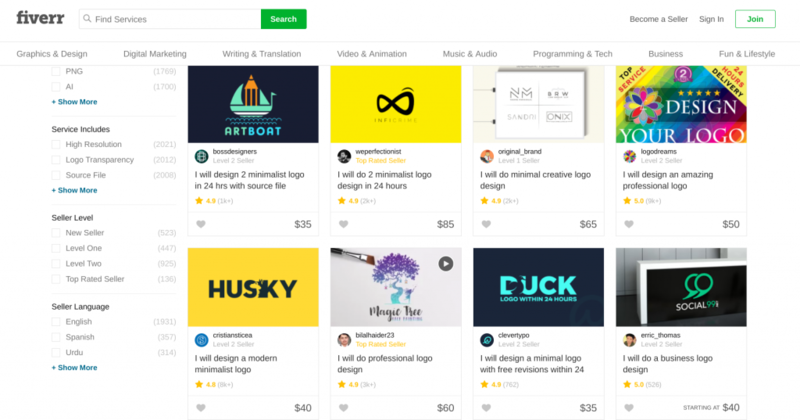 You can browse through Fiverr’s freelancers, check out their past work, then select the look, level of complexity and price that you want to pay for your logo. 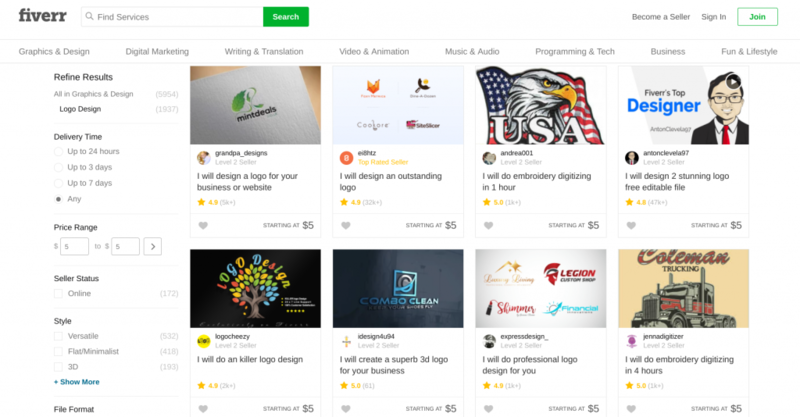 Fiverr’s prices start at $5 for a basic logo, and there are several freelancers offering services at that price. Fiverr is a great source for budget-friendly logo designers. Alternatively, you can pay $35, $50 or more for increasingly complex, customized logo designs. Fiverr’s logo design pros offer a range of price levels based on design complexity. The takeaway here is you can launch your WooCommerce store with a crisp, professional logo from day one without prohibitive costs. With logos starting at just $5 from freelancers on Fiverr, there’s no reason not to do this right from the start. Startup costs: From free to $200 or more for a logo and WordPress theme. 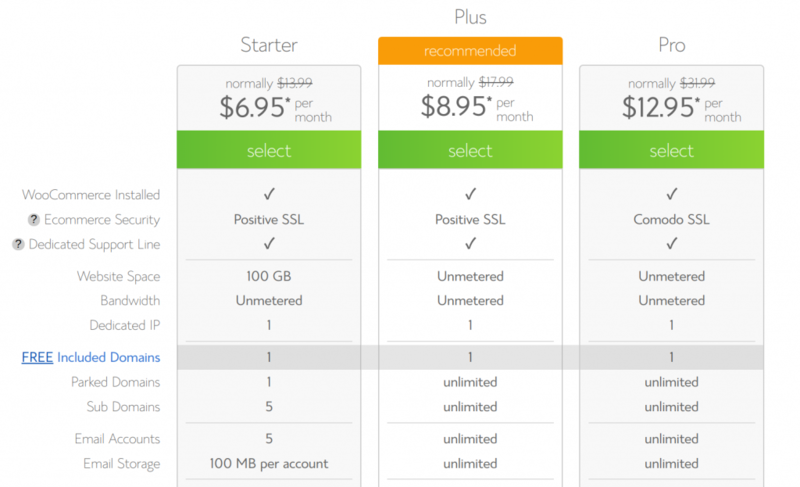 Ongoing costs: From $6.95 to $12.95 per month for WordPress for WooCommerce hosting. Here’s a closer look at each of these ecommerce must-have features and how they affect your overall WooCommerce pricing. If you need more than the basics, you can add WooCommerce extensions or third-party plug-ins. Some are free and others add costs to your overall WooCommerce pricing. We cover these options in a later section. WooCommerce doesn’t handle payment processing for you. You must connect a payment processing provider to accept payments through WooCommerce. Most payment providers integrate with WooCommerce using a free plug-in but all charge sellers fees on every transaction. Some payment processors charge monthly fees as well. You need to consider these costs in your overall WooCommerce pricing. These are just a few of the many payment processors you can use with WooCommerce. Our guide to accepting credit cards covers the process and more provider options in detail. Direct connections to USPS and Canada Post are included in your free WooCommerce pricing. With this free service, called WooCommerce Shipping, you can print your shipping labels directly from your WooCommerce dashboard, which is a very handy feature. Of course, you do pay the shipping fees on orders, but the integration of USPS and Canada Post shipping feature is free and built-in to your WooCommerce platform. However, if you want to ship via other carriers, like UPS, FedEx or DHL, you need to add shipping service plug-ins. There are many options here, and these cover a range of costs. You can add carrier-specific plug-ins to ship via just UPS or another carrier. However, many online sellers find that shipping comparison software is the most convenient and cost-effective solution. Email marketing is one of the most effective ways to share your products, promotions and sales-driving content with both existing and potential shoppers. Most top-rated email marketing services have plug-ins that connect their service seamlessly to your WordPress and WooCommerce setup. This allows you to collect email addresses and contact information via website sidebars, pop-ups and banners and from your WooCommerce orders too. You can even use email marketing services to create automated remarketing for abandoned carts, conduct shopper surveys, send informational newsletters and much more. Learning how to use email marketing effectively helps drive the overall success of your WooCommerce store. Learn more about top-rated email marketing providers in our email marketing software buyer’s guide, plus discover effective email marketing campaign strategies and tips from the email marketing pros. Social media plug-ins connect WordPress site content and WooCommerce product pages to social media accounts, and they do this any number of ways. Some add social share buttons to your post and product pages. Others connect and list social media ratings and comments directly on product or content pages while others enable social media selling by listing products in a Facebook Shop or through Instagram shopping posts and buyable Pinterest pins. 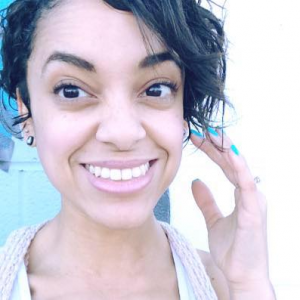 There are plenty of social media plug-in options out there and, as you grow, it pays to check out the new social media plug-ins hitting the market. 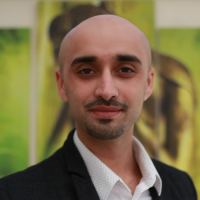 However, the free and low-cost plug-ins listed above suit the needs of most startups and small sellers with little to no out-of-pocket costs. Neither WooCommerce nor WordPress offers much in the way of built-in SEO tools. Here again, plug-ins come to the rescue. SEO plug-ins provide several tools that help you improve your Google search rankings for desktop, mobile and even voice searches made using Apple’s Siri and Google Home devices. Using SEO plug-in, you can craft better site content and product descriptions that target relevant keywords and import data from Google Analytics to help you understand shopper behaviors, identify popular products and content pages and much more. The three plug-ins above provide a nice set of SEO and analytics review tools that any startup or small seller will appreciate. As you grow, you’ll know which tool or tools are most beneficial to your operation, and you can expand those to paid plans if needed. For small sellers and those looking to run an ecommerce business as a side gig, the essential features WooCommerce pricing covered above can get the job done. However, as you grow, you might need to add more functionality to your site. If so, WooCommerce plug-ins and extensions can fill in the gaps. To see even more WordPress and WooCommerce plug-ins and extensions, visit WooCommerce, WordPress.org and Envato Market. The list of features that you can add to your WooCommerce store is virtually endless, and you can launch a fully-functioning store with Bluehost for just $6.95 per month. WooCommerce’s free and low-cost plug-ins and extensions also let you enjoy a full selection of marketing, SEO, and product and order management tools on a shoestring budget. Do you use WooCommerce as your online store platform? If so, what combination of hosting, theme, payment processing, shipping, marketing, and SEO tools work for you? Please share your input in the comments below.